للمسافرين الذين يرغبون أن يعيشوا كل ما تقدمه المدينة، Docklands Prestige Apartments هو الخيار الأمثل. يحظى هذا الفندق ذو 4.5 نجمات بمكان ممتاز يسمح بالوصول إلى المعالم السياحية الأكبر في المدينة، فهو يبعد مسافة 4.5 Km عن صخب المدينة. سوف يعشق النزلاء موقع هذا الفندق، فهو قريب من أهم المعالم السياحية في المدينة . 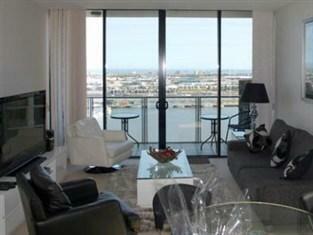 يعمل Docklands Prestige Apartments على ضمان إقامة مريحة لضيوفه من خلال خدماته الممتازة وحسن ضيافته. هذه بعض الخدمات الموجودة في هذا الفندق: واي فاي مجاني في جميع الغرف, خدمة سيارات الأجرة, تخزين الأمتعة, واي فاي في المناطق العامة, صف السيارات. لقد جهزت هذه الإقامة الفندقية بعناية فائقة لتوفر مستوى عالي من الراحة. في بعض الغرف يجد النزيل تلفزيون بشاشة مسطحة, اتصال لاسلكي بالإنترنت, حوض الاسترخاء, غرف لغير المدخنين, مكيف هواء. يقدم الفندق مجموعة واسعة من وسائل الراحة المتنوعة، كمثل: مركز للياقة البدنية, حمام سباحة خارجي. إن Docklands Prestige Apartments هو خيار ذكي بالنسبة للمسافرين، فهو يوفر إقامة هادئة ومناسبة للاسترخاء. يعمل مكتب الاستقبال من الساعة 09:00 AM إلى 06:00 PM. تتوافر خدمة انتظار السيارات لقاء رسم إضافي بقيمة 15 درهم إماراتي. يطلب العقار دفع مبلغ تأميني قابل للاسترداد بقيمة 250 دولارًا أستراليًا نظير الإقامة في الشقق المكونة من غرفة نوم واحدة، و500 دولار أسترالي نظير الإقامة في الشقق المكونة من غرفتي نوم، و750 دولارًا أستراليًا نظير الإقامة في الشقق المكونة من 3 غرف نوم عند تسجيل الوصول. Thank you to the staff who placed us in a room with a tremendous view of Melbourne Star. It lights up at night time and was very nice to see through the balcony. 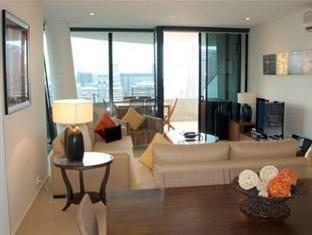 Big living room, foxtel, internet, usable kitchen, washing machine, dryer, all very good. 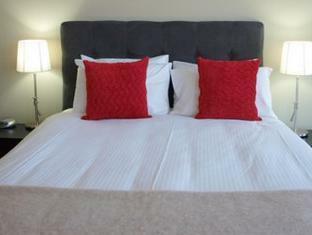 Bedroom was nice with good mattress and various pillow options. Bathroom small but had a bath and separate shower. Thank you again for a very rejuvenating time away. 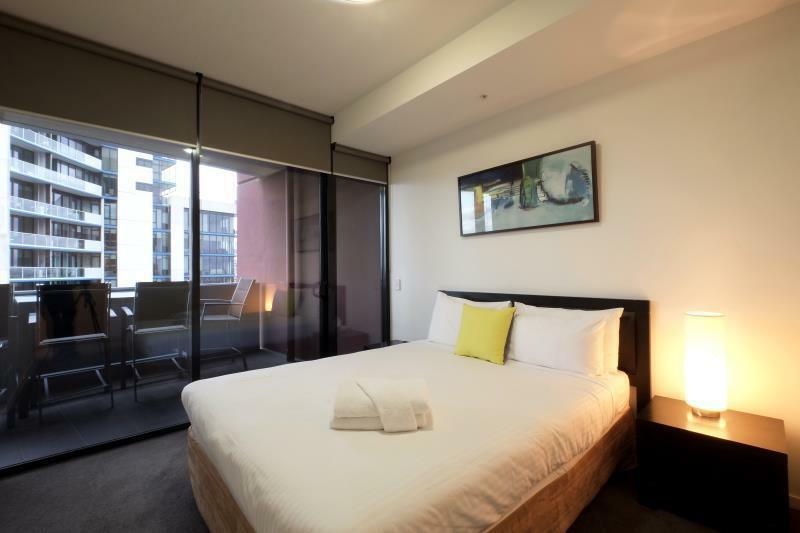 5 mins walking distance to free tram 35, so you can take the tram to visit Melbourne CBD. The room is not new enough but clean. The price is reasonable. Perfect stay. The staff are always excellent and any problems are always sorted quickly. Would not hesitate utilising this service again, especially the apartment. Magnificent room and view with balcony. The place that we are to go to do our check-in was not easy to find as it is sales office. As there were six of us (4 adults and 2 kids) we were given the penthouse at the Nolan building. 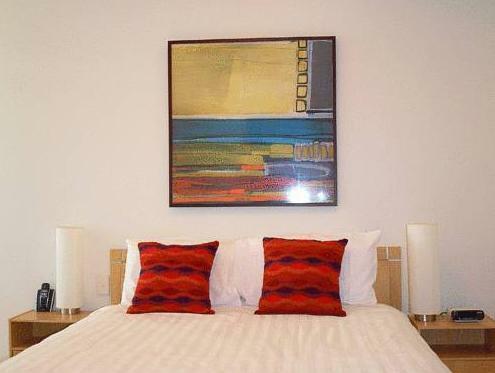 It was a comfortable unit however we encountered problems with the air condition and the washing machine. They got someone to fix the air condition rather promptly but the washing machine which was leaking, they maintenance person could not find the problem. Overall the apartment was comfortable and the kids enjoyed the jacuzzi. Feel the apartment is bit old and not so clean. We were in Melbourne for 5 days exhibition. We checked in then go to the exhibition and back hotel around 9pm. Then we realized the room we are staying has no air-condition; unfortunately we ring the reception and no-one answered the call, I call many times and try different no. no one answering. I suppose this apartment don't have after hour attendance. Tomorrow we call again, they help us to change to another room quickly. I suggest next time check-in must check all facitilies working properly, otherwise need to get fix the next day, it was really hot on the day, we were almost not sleeping in the first night, lucky the 2nd night onward we have change to another apartment. After been given a room in which the air conditioning was not working your employee Paul quickly gave us an upgrade. Within a short period of time the new room was cleaned and ready for us to move in. Thanks Paul! Well done. Away from the hustle and bustle of the CBD. The trams around the CBD are now free, so you can just hop on a tram and commute into the city. The rooms were large enough not to feel claustraphobic. 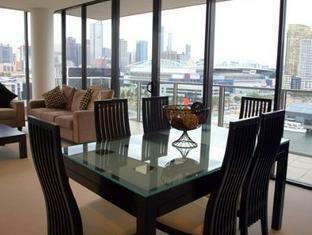 Overall our week long stay in the Docklands Prestige Apartments was fine. However when looking at the options on Agoda on where the stay, we picked these apartments because it also had accessibility to a pool and a gym. Unfortunately the pool was closed, but this was not mentioned when booking. The apartment itself was fine, and had a little wear and tear, but you would expect that from a 10 yr old apartment. However the air-con/heatpump was that noisy that we had to shut it off, otherwise we couldn't listen to the tv. This made the room quite cold. We were also advised that the opening hours of the office were 10am to 4pm on Sunday when we were booking in, however twice when we arrived at the office, it was unattended and we couldn't book in. It was ok, bedding not comfortable, nice views though. Overpriced considering there is no staff around! 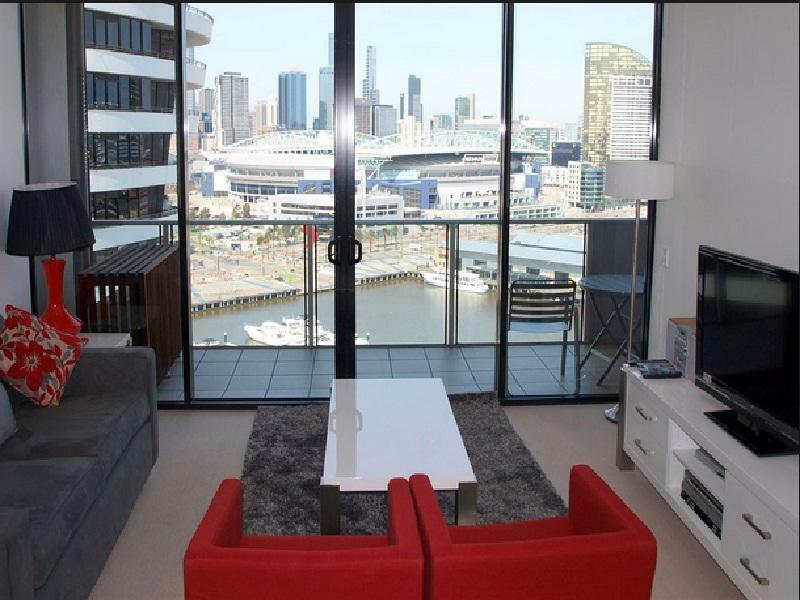 My stay at the Docklands Prestige Apartments was ok. The cost of the apartment per night was very very expensive. In return for this high rated fee, I still had to pay a nightly fee for parking, I still had to pay for internet, the bed was so soft I had sleepless nights for the duration of my stay and neck and back ache as a result. Next time I would stay in the city. For the same exorbitant fee I can be centrally located. 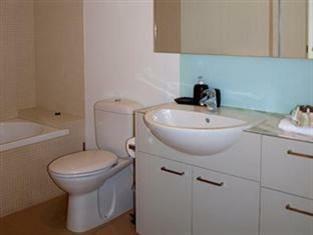 I did find the apartments to be very clean and modernly furnished, both of which are important. Cost did not warrant the stay.